The Celestron 114LCM computerized telescope automatically locates stars, planets and other objects with its motorized system and on-board computer. The all-glass, fully coated optics reveal the depths of our solar system and the wonders of the universe. 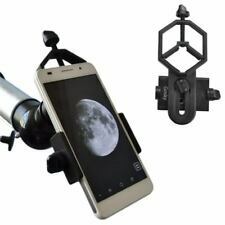 The fully adjustable tripod features a convenient accessory tray, and the easy-to-use computerized hand control allows you to locate objects at the touch of a button.